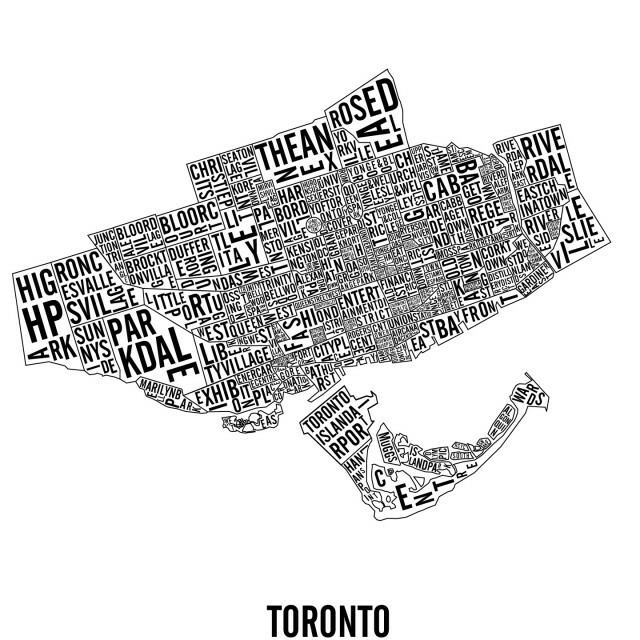 The downtown Toronto neighbourhoods & landmarks represents everything that makes Toronto the city that it is. 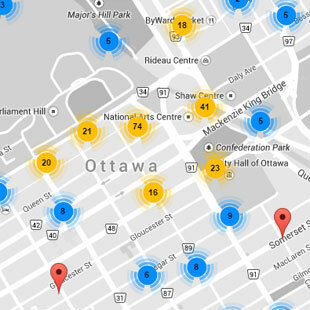 From Nathan Philips Square to Queen Street West, most of the key elements are there. 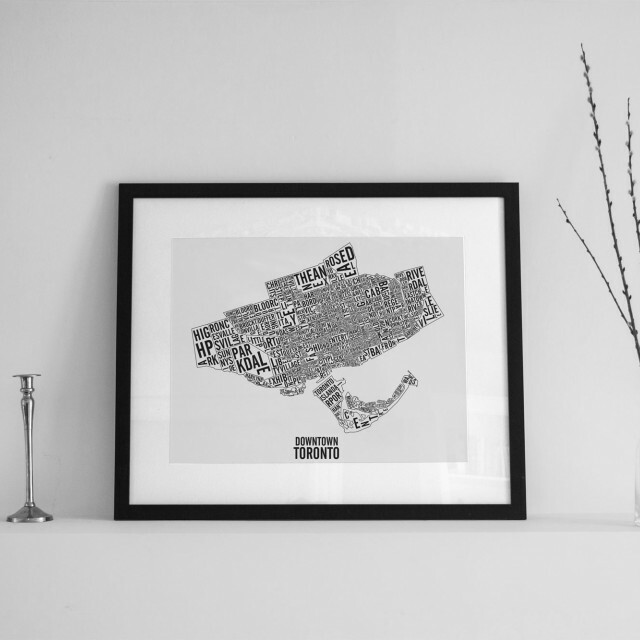 It extends from Leslieville to High Park and the Islands to Rosedale on the North-South axis. Each posters are printed by hand using screen printed technique making each prints unique. All city maps are signed, numbered and dated. 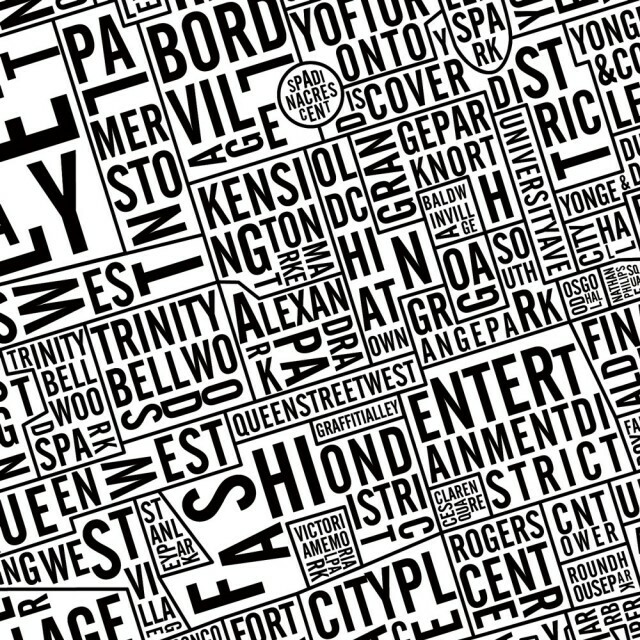 The downtown Toronto posters are shipped in cardboard tube and plastic sleeve to make sure your print makes it home without a dent.